Probate is the court process of distributing the assets making up a decedent's estate. Individuals given assets in a will are called beneficiaries, and individuals who inherit through their family relationship to the deceased are called heirs. Heirs can inherit property through the will, just like beneficiaries. But if there is no will, they inherit anyway through the statutory process known as intestate succession. An individual is assigned by the court to oversee the probate process and is called the personal representative, personal administrator, or executor of the estate. When a Wisconsin resident dies without a will, the probate is usually started by an heir of the deceased. The individual files a petition, or application, to open a probate and is assigned the role of personal representative. He is responsible for filing a statement of consent to serve as personal representative, a statement that he is authorized to act in that capacity, and a Proof of Heirship form. The form reflects the information he has gathered regarding all estate heirs after a diligent search. After opening the probate, the personal representative conducts an inventory of all estate assets and contacts all creditors to notify them of the probate. Proof of heirship is determined through the information provided on the Proof of Heirship form, which is submitted under oath to the court. 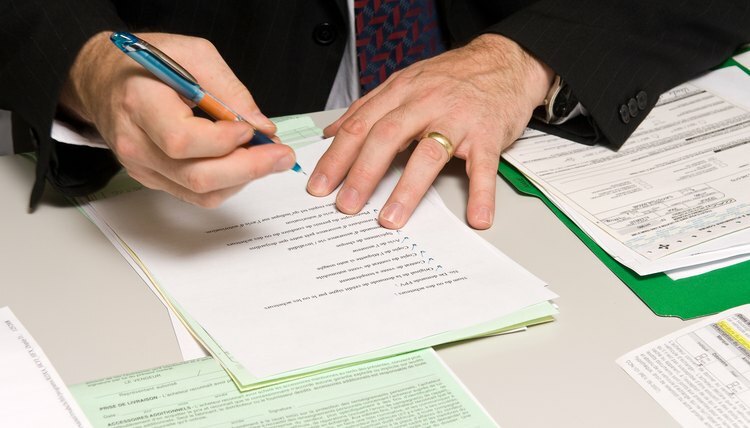 The form is used for both the formal and informal probate processes that Wisconsin recognizes, so no matter which type of proceeding is underway, the proof-of-heirship process is the same. The Proof of Heirship form is filed by the personal representative at the beginning of the probate. The same form is also filed by anyone asserting his right to inherit from the estate. The proof of heirship form may be downloaded for free from the State of Wisconsin website. The form requires the name of the county where the probate is filed, the case style, or name, of the proceeding, your name, contact information and relationship to the deceased. The form also asks for the name of any surviving spouse and details as to children of the deceased. Also requested is information about other relatives such as parents and grandparents of the deceased. A potential heir may file a Proof of Heirship form at any time during the proceeding. As it is the same form filed by the personal representative at the start of probate, an individual filing the form on his own behalf still must provide all the information requested to the best of his knowledge, including information concerning any other heirs of the estate of whom he is aware. The individual claiming heirship must sign the form before a notary and file it with the court. The Wisconsin probate court determines the heirs of the deceased based on the information provided on the Proof of Heirship form, or forms if more than one is filed. If any interested party contests an individual's claim to heirship, the court holds a hearing and takes testimony as to evidence of the individual's relationship to the deceased. Ultimately, the court rules as to who is and who is not an heir of the estate. After all heirs are determined by the court and all creditors of the estate are paid, the personal representative distributes estate property based on the statutory hierarchy of familial relation, known as the intestacy statutes.